Shungite is a unique rock that is only found in the Lake Onega area of Karelia, Russia. It is approximately 2 billion years old and is the only naturally formed mineral known to man that contains fullerenes, which is thought to be a powerful antioxidant. "I had heard many great things about the amazing qualities of shungite and the benefits of drinking shungite charged water so I decided to place some into my water filter, drink it regularly and observe my thoughts, emotions and physical well-being. After just one week I noticed that I had become far more aware of my physical needs, I began to crave to be outdoors. My mind chatter had totally gone and I felt a deep inner peace and contentment arise throughout my being. The depth of relaxation that was experienced within me was taken to a whole new level, I felt as though my whole being was in a parallel reality due to my non reaction to life events and situations that were presented to me. 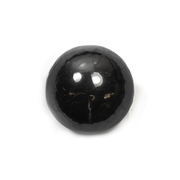 I had heard that the people who live around the area where shungite is mined live to a good old age and I can now understand why….. this gentle but powerful energy really is wonderful." So you can forgive us a little if we become over excited when asked about this remarkable stone with its unique and beneficial qualities.